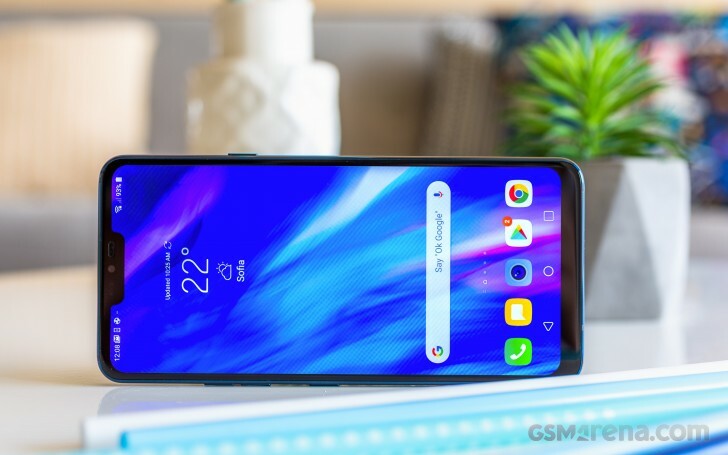 A few new details have surfaced regarding the upcoming LG V40 ThinQ flagship, coming straight from a "source close to LG". The V40 ThinQ will be the first LG flagship to offer stereo speakers, in this case called Stereo Boombox, and it will have a Quad DAC like its predecessors. The five cameras of the LG V40 ThinQ have also been detailed. On the rear there will be a regular 12MP f/1.5 unit with large 1.4µm pixels, an ultra-wide 16MP f/1.9 1.0µm snapper and a 2x telephoto 12MP f/2.4 camera with 1.0µm sized-pixels. On the front there will be two cameras, an 8MP and 5MP, presumably with regular and wide-angle lenses. Unsurprisingly, the LG V40 ThinQ will be powered by a Snapdragon 845 chip, coupled with 6GB of RAM. On the storage front it will come with either 64GB or 128GB of memory, most likely expandable. Rumor has it the battery will be a 3,300mAh unit, which doesn't exactly reassure given the prognosed 6.4-inch QHD+ AMOLED screen. With all of this packed in, the LG V40 ThinQ will weigh 169 grams and measure 158.7x75.8x7.79mm. The stereo speakers didn't happen! Can't say I'm not surprised though. LG previously said they preferred using a single speaker that does not distort the sound.